This week the Apple App Store rolled out its new "Editors' Choice" and "App Of The Week" features, both of which highlight apps for users and promise to make app discovery less difficult; the "App Of The Week" addition will even offer apps for free, reports The Verge. Earlier this year, Apple hit a huge milestone with 25 billion app downloads of the more than 500,000 apps in Apple's App Store and over 10,000 in its Mac App Store. That's a lot of apps to browse through and discover even with the addition of the new features. 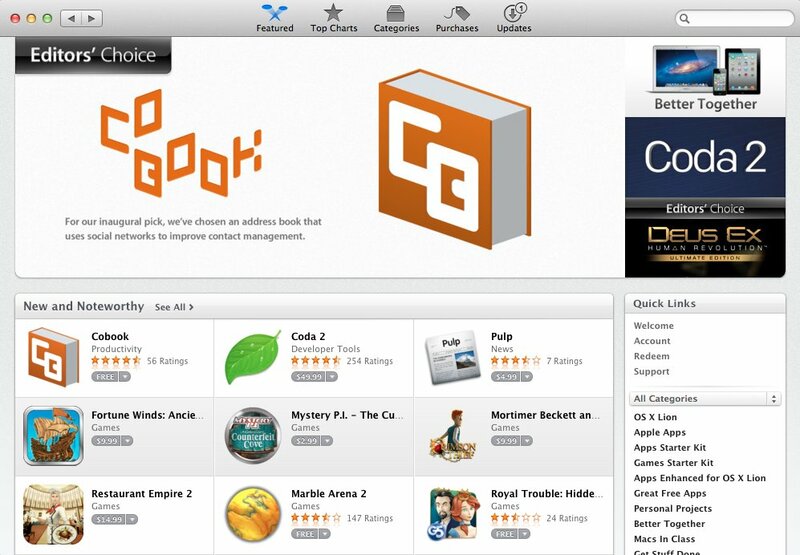 According to TheVerge, the address book app Cobook was the very first "Editors' Choice" pick on the Mac App Store. Facebook Camera, Extreme Skater and Air Mail were a few of the apps given the same honor in the App Store, reports The Next Web. Are the "Editors' Choices" selected by curators based on what they consider a top app product? We don't know, but do wonder what the criteria would be to have an app be selected as an editor's choice, or who those editors are that are choosing. Are they impartial app reviewers? Apple staff members? The Apple PR or Marketing teams? Inquiring minds would love to know! 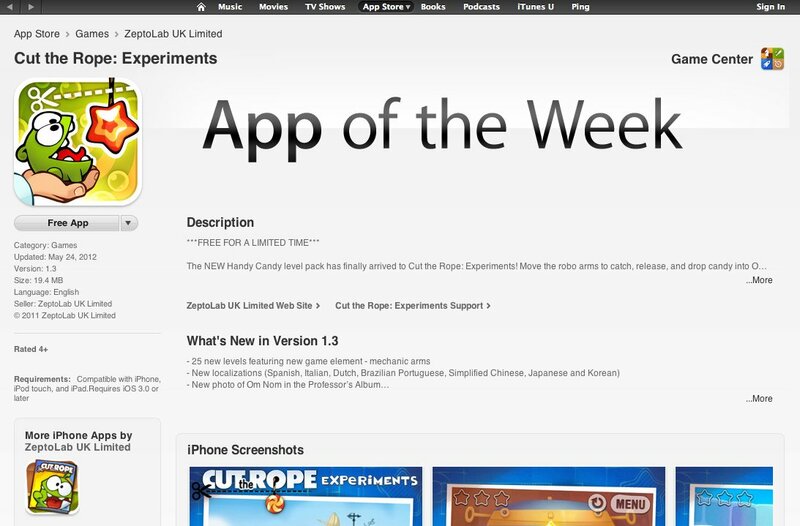 MacRumors points out Apple has offered free apps before through its App Store Facebook page; however, its new "App Of The Week" feature will help make these promotions easier to spot. Do you think these new features actually make apps easier to discover? Do you trust their picks? Have any other suggestions for Apple to improve their App Store?